Our new white paper, “When Self-Abortion is a Crime: Laws that Put Women at Risk,” raises awareness about the harms of criminal bans on self-abortion, with a particular focus on New York, which is one of a handful of states with criminal laws on the books that explicitly make self-abortion illegal. At a time when restrictions on access to abortion and advances in abortion methods have given the issue of self-abortion new salience, the National Institute for Reproductive Health has produced a white paper, “When Self-Abortion is a Crime: Laws that Put Women at Risk,” to raise public awareness around the harms of criminal bans on self-abortion, with a specific focus on New York’s law. The white paper assesses whether there is any justification for New York’s criminal abortion ban and analyzes its real impact on women’s health and lives. Building off our groundbreaking white paper examining New York’s criminal abortion ban, our Massachusetts addendum looks at the self-managed abortion laws still on the books in Massachusetts that leave women in the state vulnerable to criminal prosecutions. Read the full addendum. The legal status of abortion has changed throughout American history – from legal to illegal and back to legal again. However, women seeking to end an unintended pregnancy have always done so, whether it is legal or not. 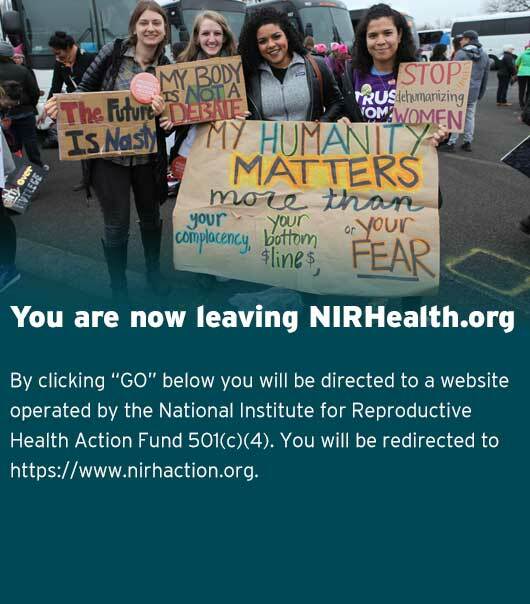 The history documented in this white paper shows that when abortion care is not available from a health care provider, women have taken matters into their own hands. Yet, even when abortion was generally illegal, only a few states ever criminalized a woman’s decision to induce her own abortion — and those statutes were virtually never enforced. New York is one of the handful of states that has such criminal laws on the books that explicitly make self-administered abortion illegal. Originally passed in the 1800s, these antiquated measures remain in force today. This law means that New York sits at the crossroads of the newest attack on women’s rights: the investigation and prosecution of women for seeking to end their own pregnancies. Across the country, abortion opponents have increasingly used laws like New York’s to investigate, prosecute, and incarcerate women. Even in some states where self-abortion is not an explicit crime, overzealous prosecutors have been over-reaching with other criminal statutes to punish women who act to end their own pregnancies. Women have been arrested and prosecuted in least 17 cases for self- abortion – including five in New York alone – though most of cases did not end in convictions. Laws that threaten women with jail time for self-administering an abortion do not deter women from ending their pregnancies; they serve only to harm women by deterring them from seeking out accurate information about their options in advance or medical care if they need it afterwards. When a woman has decided to have an abortion, she should be able to access safe, legal, affordable, supportive care. Since 2010, at least 379 laws against abortion in states across the country have pushed abortion further out of reach for many women – and an increasingly hostile climate in Washington has made this situation even worse. Other barriers – such as lack of insurance coverage, distance to the nearest providers, or cultural or language differences – also impede a woman’s ability to get an abortion. At the same time, as the World Health Organization has stated, research indicates that medication abortion (abortion with misoprostol alone or coupled with mifepristone) can be a safe and effective method for many women to end their own pregnancies. If a woman is not able to get abortion care at a clinic or from a medical provider, history shows that they will often take matters into their own hands. Today, in New York, doing that could mean that a woman risks prosecution and jail. Instead of sending a woman to jail for ending her own pregnancy, we should ensure that however she chooses to end a pregnancy, she can do so safely and effectively. If you are in New York and in need of abortion care or medical assistance please click here for a list of providers.